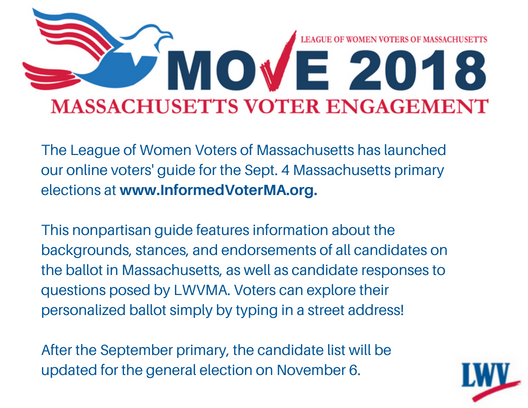 The League of Women Voters of Massachusetts has created an online voters’ guide for the 2018 Massachusetts election. 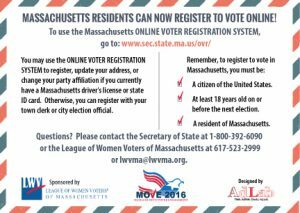 This new guide allows voters to access a personalized ballot just by entering a street address. The guide covers every race in the state and is optimized for use on mobile devices. 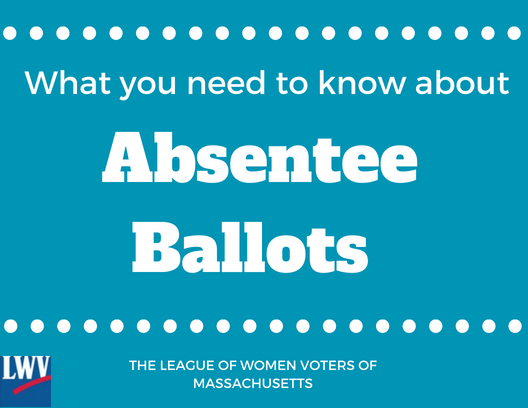 Voters will be able to access in-depth information on candidates’ backgrounds, and endorsements, as well as candidates’ responses to questions posed by LWVMA. 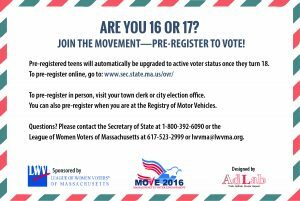 Voters will also be able to find nonpartisan information about all statewide ballot measures. 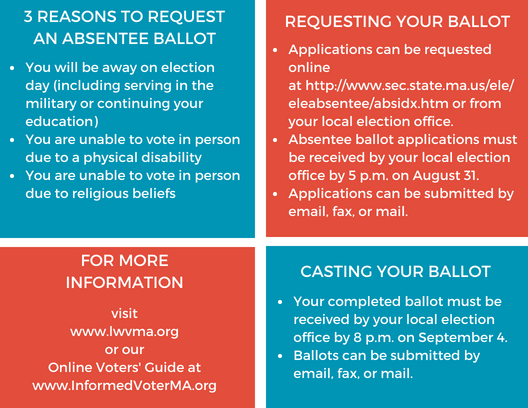 In addition, to encourage participation in the elections, our online guide contains a “Make a Plan to Vote” tool that provides users with their poll hours and locations. 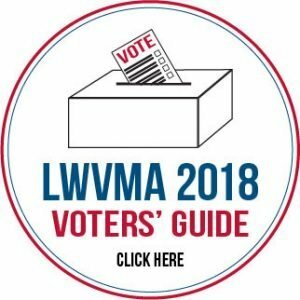 This social media and communications toolkit is meant to help local Leagues promote the online voters’ guide and encourage voters to utilize the guide. This button will be posted on the homepage of the LWVMA website and Facebook. 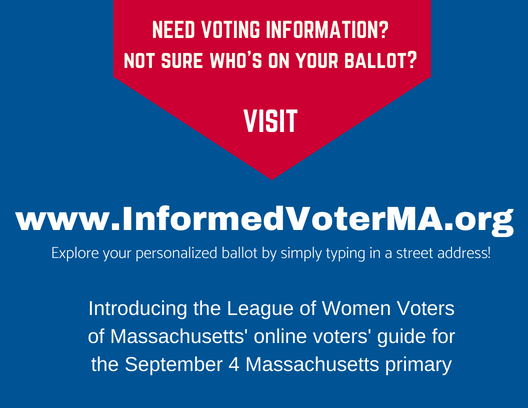 We encourage local Leagues to post the button with the link www.InformedVoterMA.org on their own websites and Facebook pages. The button is available as a PNG file by clicking the links below. 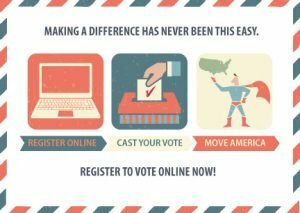 Local Leagues should feel free to share the YouTube links for the winning videos from LWVMA’s 2018 “Get In the Game and Vote” contest on their websites, Facebook, and Twitter. The YouTube links can be accessed via the press release below. 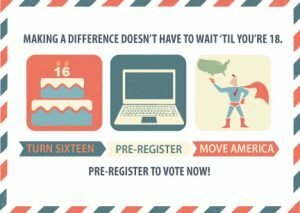 Before a local League undertakes to register voters using the online voter registration system that went into effect in July 2015, it may help League members using that online registration system to go through the various screens voters will see and become familiar with them in case there are any questions. Here is a report from the Elections Division of the Secretary of the Commonwealth’s office that first outlines the system, then shows the screen shots for the verification of Registry of Motor Vehicles ID process, then shows the screen shots for the actual voter registration process.